The REMstar Auto M Series with A-Flex represents an amazing new chapter in pressure therapy. Not only does it make each breath more comfortable at inhalation and exhalation, the REMstar Auto also adjusts overall therapy to accommodate the patients therapy needs due to changes in lifestyle or progression of their sleep apnea. A-Flex is delivered by Respironics' clinically proven auto algorithm that maintains effective therapy at minimal pressures making this combination even better for patients. A-Flex is a comfort feature built on top of the REMstar Auto algorithm. If breathing events occur, the auto algorithm raises the A-Flex pressure profile to eliminate those events, while simultaneously making sure that pressure never rises to a level thats unnecessarily, and uncomfortably, high. The new M-series platform design is convenient for travel with and without the integrated humidifier. The standard travel carry case has been updated with a new sleeker look. Optional travel accessories are also available for packing the device in a suitcase and for use when traveling internationally or when a portable battery or DC adapter is required. 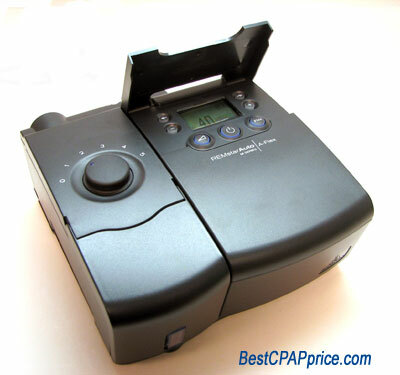 The REMstar Auto M Series with A-Flex is an ideal flow-based Smart CPAP for use in the lab or home. Its Proactive Algorithm looks for and adjusts to the patient™s need based on optimal and critical pressure levels. When combined with Encore Pro Software, you can track events like snoring, elevated leak levels and apnea/hypopnea. Add that to a host of other great patient features, and it™s easy to see why REMstar Auto with A-Flex is the smartest Smart CPAP we™ve ever made.